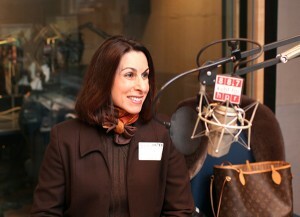 Janine Iannarelli’s company, Par Avion Ltd., offers business aviation options that simplify air travel for companies. On Bauer Business Focus – A conversation on business aviation with Andrew Schneider, business reporter for KUHF 88.7 FM. It’s no secret that flying can be extremely frustrating. With checking in, delays and long security lines – travelers have to be at the airport at least an hour and a half early in order to make it to the gate in time. And that’s on a regular day. Janine Iannarelli, founder and president of Par Avion Ltd., offers businesses, big and small alike, an alternative to commercial flights through business aviation. Iannerelli visited Bauer Business Focus recently to discuss the advantages of business aviation, its accessibility and affordability over commercial aviation. For business travelers, time is money and Par Avion Ltd. is focused on getting passengers to their destination and back in the least amount of time. Business aviation offers travelers, namely business travelers, a luxury that commercial airlines cannot offer – flexibility. If there is bad weather or a change in a schedule, traveler could choose to reroute, reschedule, or simply cancel the flight. Options that are not available on a scheduled airline, she added. Travelers simply have to arrive at the airport, clear through a security gate, go straight to the plane, board, and leave. It’s as simple as that, she said. And the biggest advantage of using a business flight?